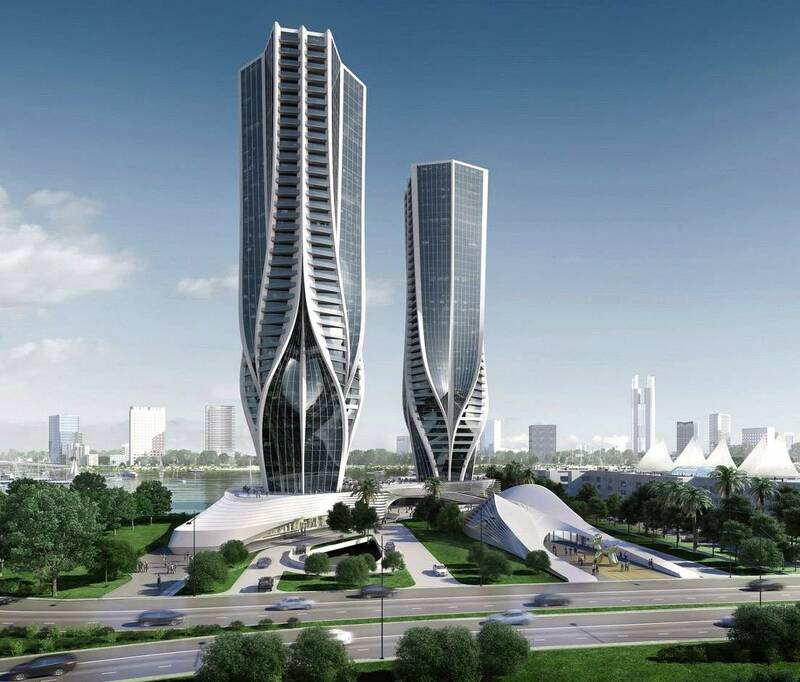 Neofuturistic architect Zaha Hadid recently revealed designs for a pair of proposed skyscrapers designed for Australia’s Gold Coast. 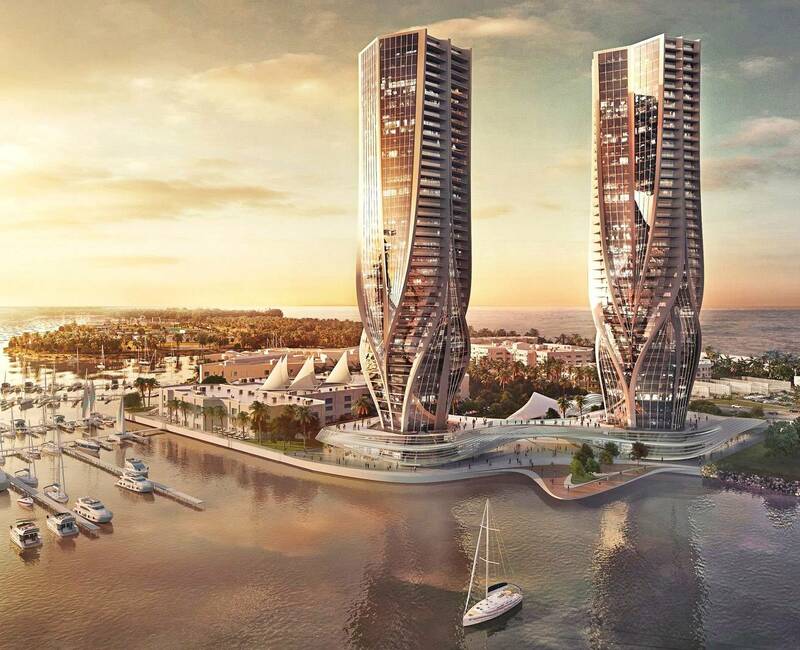 The 44-story Queensland duo—uncannily similar in aesthetic to Grace on Coronation, a trio of towers sprouting up in Brisbane, also commissioned by the Sunland Group—features the eclectic designer’s signature curvaceous motif, and showcase a tapered bottom that minimizes the structures’ footprints. 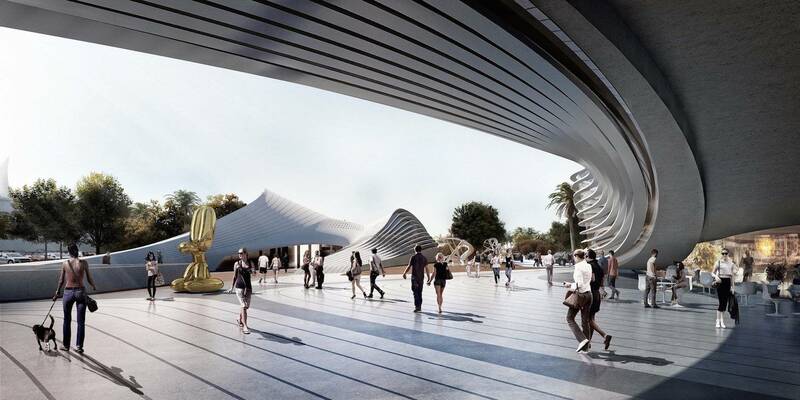 The glassy buildings—both poised atop a curved podium—will reportedly comprise of 370 apartments, ground-floor retail, a 69-suite boutique hotel, and an art gallery, not to mention a wave-shaped museum and subterranean aquarium. 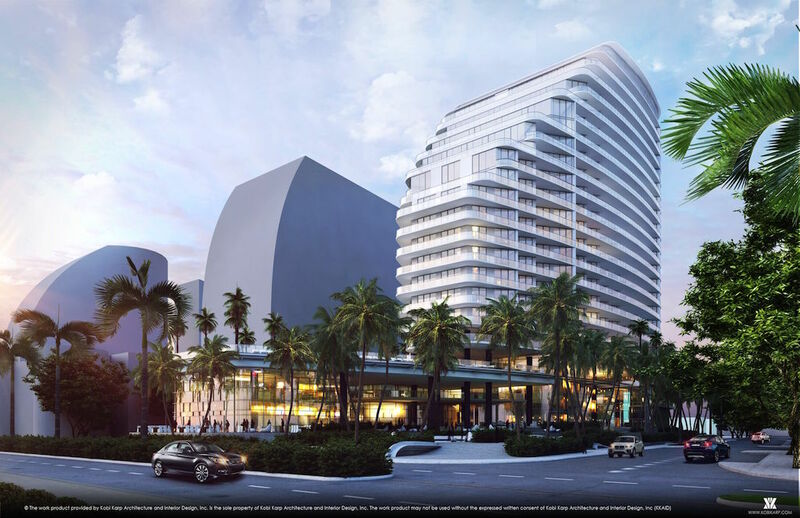 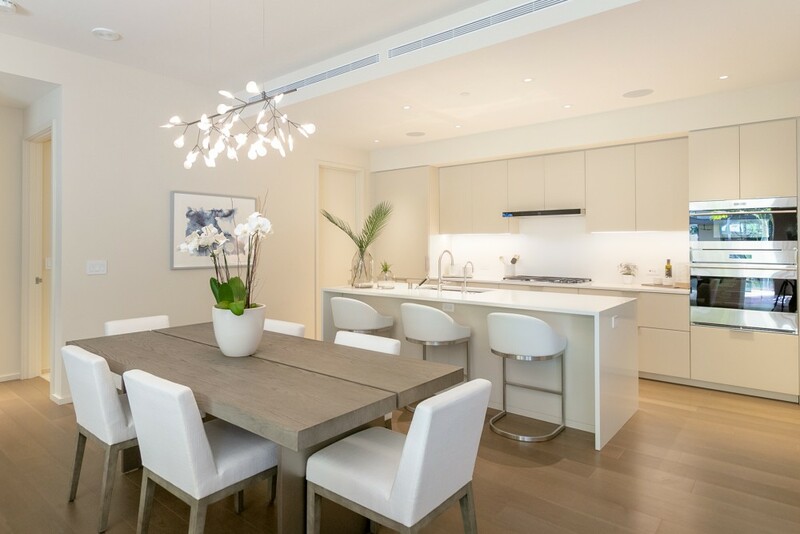 Currently awaiting approval, the $600 million project was created for the redevelopment of Mariner’s Cove.